Be Mindful Card Deck for Teens, offers 50 ways to be present to life as it is actually taking place. These cards help your teen be in the here and now with less thinking about the past or worrying about the future. Mindfulness strategies can help shift anxiousness, moodiness, anger and help when you just need to relax. They are also perfect for managing everyday stressors like school demands, worry, sadness, problems with relationships and difficulties paying attention and focusing. 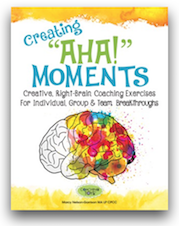 This is a great tool for teens as well as teachers, parents, coaches and therapists.